Zynga (s znga) is having a great day. After announcing a better-than-expected third quarter, which showed the company roughly breaking even, its stock price finally began to climb. Although still a long way from its $10 IPO price, it surged to break the four-dollar mark before closing at a 5 percent increase to $3.73. It’s encouraging news from a company that laid off 500 workers this summer — and new CEO Don Mattrick seems optimistic. “I am confident that Zynga is rewiring itself in a meaningful way that will strengthen the core of our business and put us back on track to achieve significant long term growth and profits,” Mattrick said yesterday in a statement. Zynga may be gearing up for a come back. But, really, what will it be coming back to? Earlier this year at its developers conference, Facebook was bullish about the growth of social games. Onstage in front of 250 developers, the team trotted out great-sounding numbers: More than 250 million people are playing Facebook games every month, and roughly 100 developers generated more than $1 million in revenue in 2012. But one statistic that Facebook mentioned is particularly loaded: 55 percent of the top 400 iOS apps are integrated with Facebook. While Facebook focused on how those games drove 263 million clicks to the Apple App Store and Google Play, it’s hard to not consider the other effects. Far and away, the most popular game on Facebook is King’s Candy Crush Saga, which, according to Facebook, has roughly 100 million monthly players. 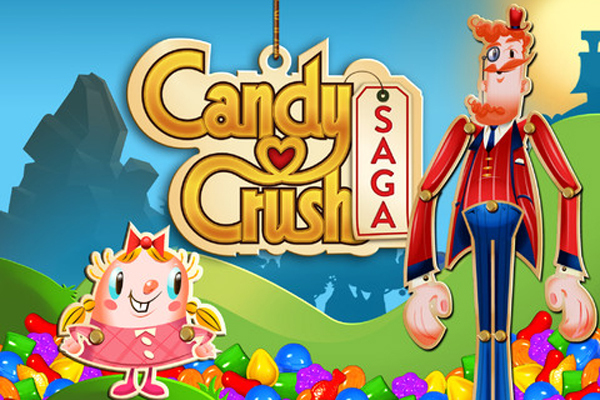 While Candy Crush Saga is a behemoth on Facebook, it’s dwarfed compared to King’s internal data — a representative told the New York Times this summer that the game receives 600 million active game sessions from mobile devices each day. Given its ubiquitousness on iPhone and Android, it’s likely that mobile gaming is influencing social gaming, not the other way around. This mobile-social influence can be better detailed when looking at Facebook games overall. According to AppData, six of the top ten applications on Facebook by monthly active users are considered games, and 80 percent of those either already have a mobile app or have one coming soon. The outliers? King’s third game in the top 10, Farm Heroes Saga, and Zynga’s only entry, Farmville 2. It’s unsurprising that those social games also occupy spots on iTunes’ Top Grossing Games of All Time — even though many of them aren’t high on the Top Free Downloads. But perhaps the big issue, and the most telling about how social gaming is faring, is that “down and out” Zynga isn’t that down on Facebook at all. In fact, it’s the second-best developer in the Facebook environment, behind King. That’s a sharp contrast to the mobile world, where App Annie reports that the company didn’t make enough in downloads or revenue to crack the Top 10 anywhere in August (where most recent numbers remain). Zynga has the potential to get more popular, but there isn’t enough room for growth on social games alone anymore. Zynga has tried to do right by mobile, and it’s clear that Mattrick wants to make it a priority, but the company has had a track record of not making the best decisions with the smartphone market. Its acquisition of PlayToy gave Zynga one of its biggest hits, Words With Friends, but the company has failed to make an iteration with the same blockbuster quality. The company fared even worse with its acquisition of OMGPOP, the creators of Draw Something, and laid off that workforce after the sequel failed to gain traction. The focus has been on bringing people in who do mobile well, but if Mattrick wants desperately to simultaneously enter mobile and shore up Zynga’s “core brands,” but he needs to be willing to commit the company’s resources instead of buying them. If Zynga expects to stage a real comeback, one that makes shareholders happy, then it can’t expect social gaming to provide the proper springboard to do better than breaking even. For all intents and purposes, the ceiling on social gaming won’t lift for Zynga — especially if King has anything to say about it. King has won recently because it has committed to both Facebook and mobile to give gamers a complete experience from desktop to mobile, and Zynga’s wishy-washy commitment to do the same, particularly in its terrible execution of bringing Farmville to mobile, leaves it losing. Right now, breaking even is the best that Zynga can offer. Social gaming isn’t as dominant as it used to be, no matter what Facebook says, and it’s a lesson Zynga needs to accept to stay relevant. Obviously you guys make good accountants, but know nothing of the real Zynga and the way they treat their customers. Every Zynga game is full of problems and the staff they hire canâ€™t fix a wobbly wheel on a tri-cycle. The support staff strait out lie to customers, know next to nothing about the games, and lucky if they speak english. Zyngaâ€™s current policy is to say nothing, admit nothing and fix nothing. If your not a paying customer of $20 or more a month, you can not contact support. Your only avenue is post a tweet on twitter that never gets replied or post on a game forum which is ignored by them. On the same day as Zynga’s report came out, they shut down the forum to stop people complaining about no support or outlook for their game. Have you not asked yourself WHY players are leaving in droves?????? Zynga won’t be getting my $100 a month I used to spend ever again! Small correction: Words With Friends was made by Newtoy (not PlayToy). Well I am still confused that where Zynga is heading towards. Its not the best anymore in game development. Its many a times piped by its rival “KING”. Still its great that zynga has crossed its expected revenue for the Q3. Lets see what more it has in its bag for the current Q4. Readers may be interested in my feature on Zynga from earlier this year.